The cover for Harper Lee's sequel to To Kill a Mockingbird has been released! 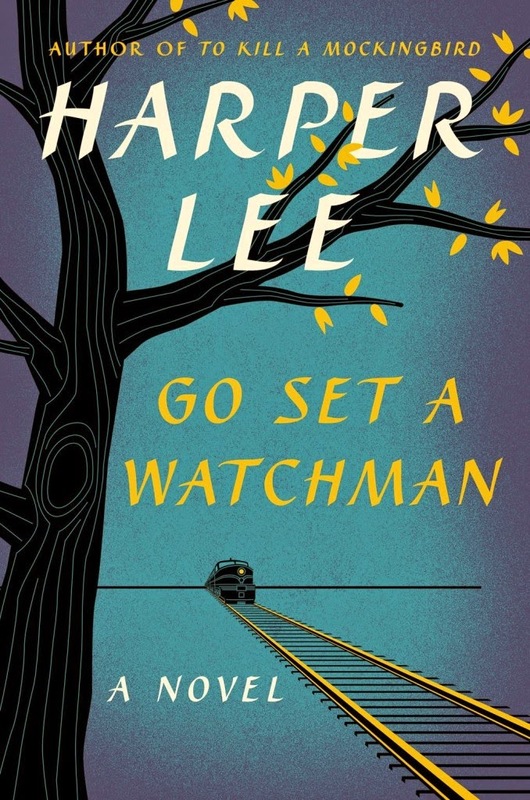 It definitely has the feel of her TKAM cover with the tree and the font, but the train is a new addition. Are you going to read this? I have this weird thing where I sometimes won't read sequels if I love the first book too much, for fear that it will somehow diminish the story as a whole. Do you ever do that? It's why I haven't read the sequels to Ender's Game and The Giver. (And it's also why I tend to steer clear of fan fiction.) Even though a large part of me thinks I'm crazy for even considering not reading Go Set a Watchman, I'm not sure if I'll read this or not. To Kill a Mockingbird is a story that means the world to me, and I don't know if I can read about Scout and Jem in any other format. We'll have to wait and see what the reviews say. Meanwhile, please feel free to talk me in/out of reading this. :) And tell me what you think of that cover? I know what you mean completely. I <3 Dune. And, I'm so afraid to read the rest of the books because I don't want it to ruin Dune for me. I'm really not sure I'm going to read this. I just don't know.... I like the cover. Like you said, it has the TKaM feel to it. But, I'm going to wait to read it until after I've read a few reviews from people I trust. I have the same feeling towards it as you then, I think. I don't blame you for not continuing the Dune series, seeing as I do the same thing. I continued the Divergent series and look where that got me. I'm going to read this. I have high hopes. Good news for me! Looking forward to hearing your thoughts. I am going to read it. I am kind of nervous, but I am confident in Harper Lee's abilities as a writer. Can't wait!! Good luck! I'm hopeful about it. Looking forward to hearing your thoughts.